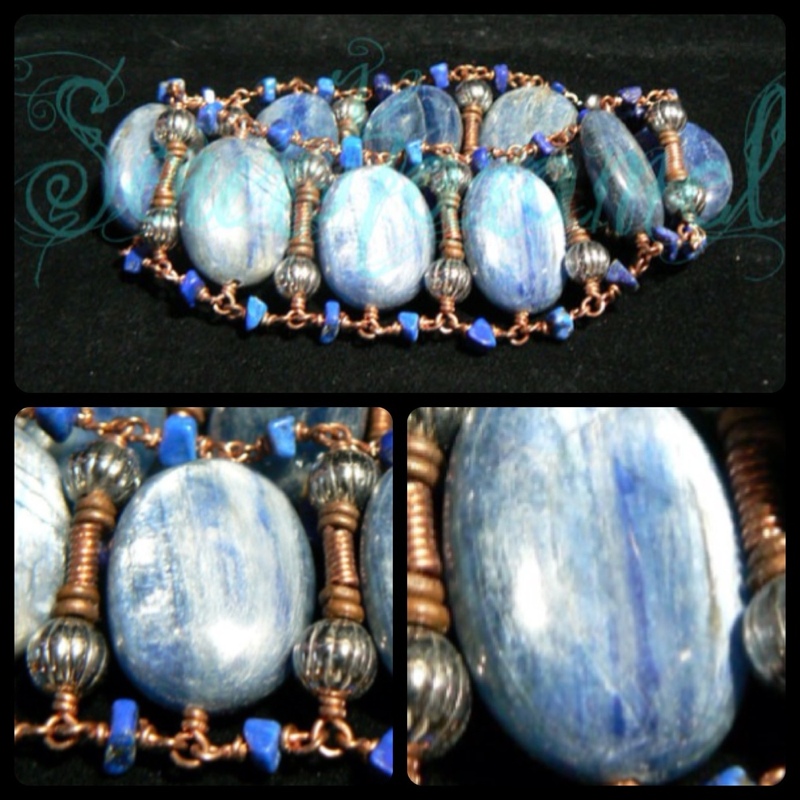 Our first piece in this new series is a deceptively large cuff(that blue kyanite bead is 1.5″ high!). It’s paired with turquoise chips, Bali silver, and copper. There is no elasticity to the bracelet so it closes easily with a simple magnetic clasp.